Let’s face it, we spend a lot of time in our classrooms! Most of us are there not only during contract hours, but also before and after school, summer, conference times, and even weekends! For years I put up rules and posters around my room. It was functional. Some people even said it looked nice, but it lacked the things that made me really happy. 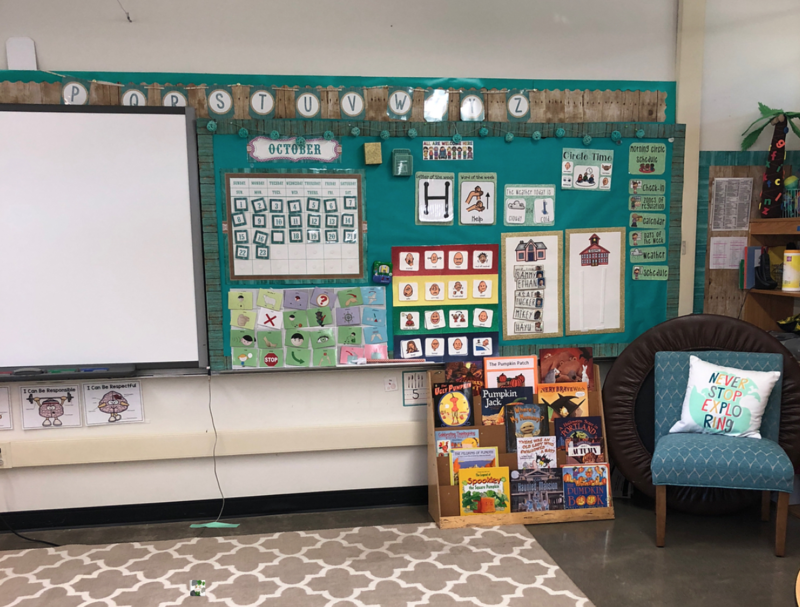 You see, making a classroom into a sanctuary is not just about decorations; it is transforming a space to meet your physical and emotional needs. And yes, that does involve coffee. 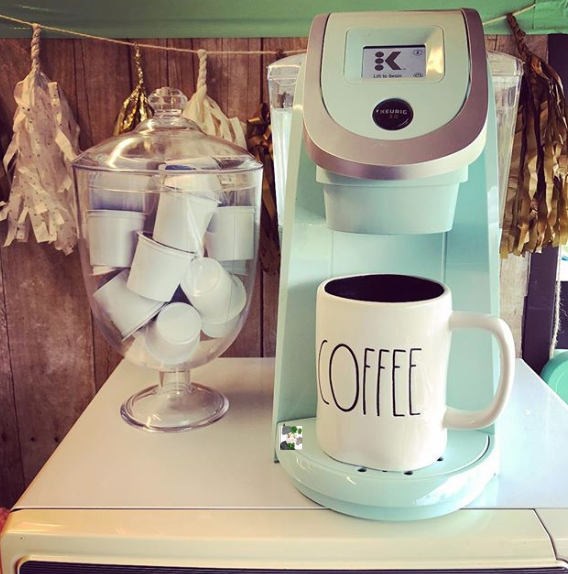 I can’t believe that I went 14 years in my classroom without an easy to use coffee machine! Coffee makes me happy. It brightens my day and gives me extra incentive to go to work. I thought that the Keurig and other easy coffee brewers were a waste of money and laughed at those who had them. “I’ll bring my coffee from home,” I said. “I don’t need extra coffee at 8:00 am on Mondays in the middle of January,” I lied. An amazing intern this year bought me a Keurig and is a GAME changer. 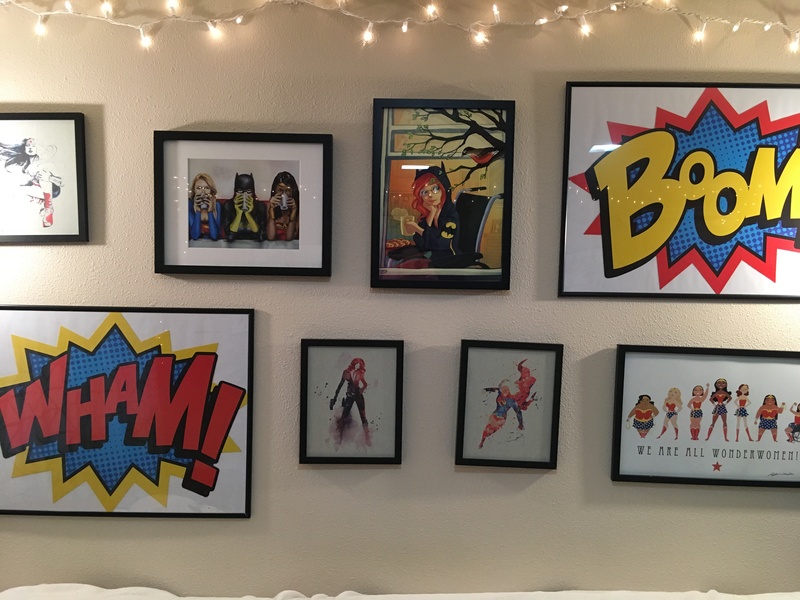 My room feels so much more like home with this addition. I only wish I had bought one years ago. Photo from @sparklesandsped. Used with permission. Note: If you do buy a “pod” style coffee maker, please be responsible and either get the refillable mesh pod filters or compostable pods. I went for ten years in my classroom before I finally brought in an old microwave. I eat yogurt most days for lunch, so I figured that it was a waste of space and electrical outlets (I don’t have many). But here’s the deal. I love coffee (see #1), however, like most educators I have never once been able to finish an entire cup hot at school. This is where the microwave comes in. I can microwave my room-temperature coffee as many times as I want in my classroom microwave! Plus, the microwave is worth its weight in gold for making popcorn for student speech parties! My microwave is quite old but somewhat similar to this one (Note, in August you can get great deals on microwaves at Target with all the “back to college” sales). Do you have overhead fluorescent lights like I do? Studies have shown that traditional fluorescent lights are not helping students see, concentrate or learn (TechDecisionsStaff, 2016). They may also pose problems for you such as migraines, insomnia, depression, and more (Adams, 2018). To make your classroom a haven, you will either need more exposure to natural light or change your light sources. Some studies indicate that warm overhead lights may improve student performance (Howard, 2016). You would need new bulbs and possibly new light fixtures to make this work. Others have advocated for use of fluorescent light filters (Make Great Light). If you have a small classroom, however, my recommendation would be to bring in the lamps! My favorite lamps are from Ikea because some of my students are throwers and I like lights that I can affix to the wall. Although, Any big store that sells lighting, will do. For an extra touch, consider using string lights in your room. These are festive, fun, and add charm to any space! 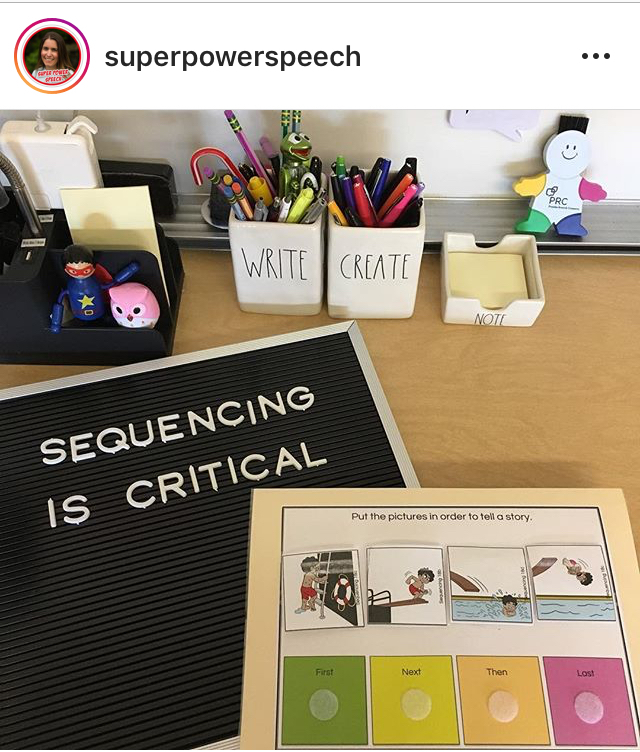 Check out @aperfectblendteaching for great examples. String lights (in my basement) add light and fun to darker rooms. Remember that a home-like environment helps meet your physical needs? Water is one of the most essential things for your body and most of us in the school have little time to drink it! Although my favorite carbonated beverage is Diet Coke, I need to be cutting back and drinking more water. A soda stream is much cheaper (and more environmentally friendly) than bringing in canned soda water each day to school. It helps keep me hydrated and gives me a little extra boost to get through the afternoon! What is a home away from home without a fridge? I used to use the staff fridge, however, it was packed full of people’s food (some of which smelled and was going bad!). It was also inconvenient and just a pain. Since getting my own fridge, I can store my coffee creamer (see #1), cold soda water (see #4), Diet Cokes (see #4), and lunch (see #2). My assistants and student interns are also very thankful that I have one in my room! Honestly, I have just started this “color coordinating” thing, but my friend Marisa from Sparkles and Sped is the MASTER. She rocks the teal like nobody’s business. I’m gently choosing red, grey, and black for my room and it is already making a difference. The best part about having a color scheme is that it actually makes purchasing supplies and decorations easier! You no longer need to spend time pondering what color baskets, buckets, and folders to get because that has been pre-determined by you! Finally, the most important part of making your classroom feel homey is to add some personal flair. That may be plants (real or fake), Rae Dunn, Superhero toys, etc. But make the room your own! There you go! 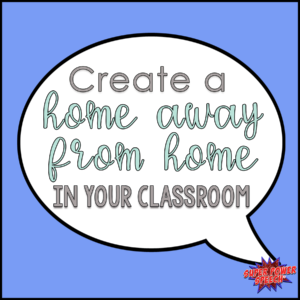 My suggestions for your home away from home classroom! What else would you recommend?